iRacing.com deployed the 2019 Season 2 Patch 2 bringing further fixes and improvements to their online racing service. Let’s have a look at the Release Notes. – Session Registration is now disabled if the Session is full. – New filters have been added to the Car List. – License Requirement Filtering now utilizes License Group instead of License Levels. – For Tag filters, License Levels have been rearranged in descending order. – Noon is now the default simulated starting time when creating any Hosted Session. – Navigating to the Error page without having an actual error now redirects the user to the home page. – The turquoise banner alerting the user that the Series they are browsing in Unranked has been removed. – The tinted overlay on the images for the Home Page News Slider has been reduced. – Fixed an issue where the Results for an event would automatically switch which session type results it was displaying. – Fixed an issue where trying to load a Replay at the Nürburgring Combined track would ask you to buy something you already own. – Fixed an issue with Grid View where items would change location after becoming a favorite (starred). – Fixed an issue with Grid View where some sorting options were not working. Prior to this release, the login pages, shopping cart, billing, and purchasing pages and “My Account” portion of the membersite were delivered via HTTPS. With this release, all remaining portions of the membersite are also delivered via HTTPS. – – With the exception of the forums, all pages of the membersite should be marked as secure at all times. This displays as a green lock in Firefox, a grey lock in Chrome, and a clear lock in Edge. If you encounter any pages which are not secure or which display Mixed Content warnings, please contact support@iracing.com and these will be corrected. – – The forums will also be delivered via HTTPS, but will display Mixed Content warnings when members include image links from insecure sites. These do NOT need to be reported as it is the expected behavior and functions in the same manner as other forums and news aggregations sites. All data between the browser and iRacing’s web infrastructure remains encrypted. With this release, Internet Explorer will no longer properly display various portions of the membersite. As discussed in the 2019 Season 2 Release Notes, support for all versions of Internet Explorer was dropped on March 5, 2019. Members currently using Internet Explorer should begin using Google Chrome, Mozilla Firefox or Microsoft Edge to access the membersite. 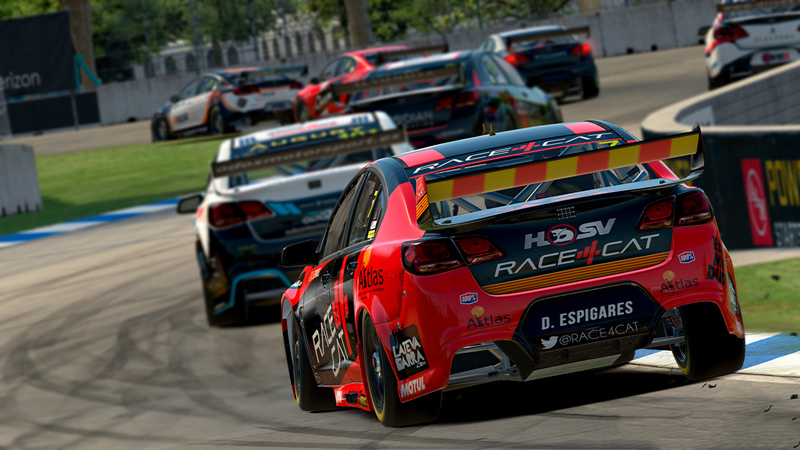 The iRacing Test Drive service has been updated with the latest and greatest content! – Fixed an issue that was causing missing or flashing triangles near the edges of the screen when using SMP “perspective surround w-warping multi-projection” with a GTX2000 series GPU. – Fixed SPS to work correctly with non-parallel eye projections on GTX2000 series GPUs. – – GTX1000 series GPUs are unable to do this with SPS enabled. – Transitions between animations have been smoothed to reduce animation flicker. – Fixed an issue with the visor tear-offs not appearing in right-eye when Single-Pass Stereo (SPS) Rendering was enabled. – (ALL) – Passenger-side WOO decal has been moved up to where it was located last season. – Opponent cars at this track should now be less inclined to run up into the outside wall. – Fixed a track surface bump in the backstretch apron near the chicane. – Gravity now affects the animated pit crew waiting for your vehicle normally here. bsimracing originated out of a long term passion for Motorsports and Virtual racing. After having managed a few leagues, i decided to start a website that covered news and interesting topics within the Sim Racing scene. While it started out as a little and modest project, bsimracing.com has grown into an up to date community recourse website and receives a substantial amount of visitors on a daily basis. Do you want to share a story that’s perfect for bsimracing? Did you find or created a fabulous video or Sim Racing related screenshot. Or even if you want to write a full blown article you want to see published. If so, let us know. We cant guaranty that every submission will be published, but when on topic, we will certainly try our best to get your story out there. If you wish to receive credit for your contribution, please include your name/nickname and/or web site URL, if applicable. With the growing success of the website and the ever growing traffic that comes with it, also monthly costs increase. Because bsimracing is a passion driven website and is not targeted as a commercial project, i have to rely on donations, and advertising to keep this site alive. Tanks for the info Buzz. An interesting read. RaceRoom Update – Group C – Porsche 911 Carrera Cup (964) Now Available! An experimental Sim Commander version for RR is available at the Owners Club forum. Just search for Raceroom.